For decades, Bates has worked towards a host of sustainability goals including, as part of its 2010 Climate Action Plan, carbon neutrality. But how far has the college come? In the past year, the Bates College EcoReps, students who promote environmental responsibility on campus, created a graph that illuminates one aspect of Bates’ sustainability work: Net total carbon emissions on campus have dropped from 11,651 metric tons in 2001 to 3,645 in 2016 — about a 70 percent reduction. “Having the data in front of you to show how we’ve been progressing is really powerful,” said Sustainability Manager Tom Twist. For Bates, the rating shows how students, faculty, and staff — with strong support from college leadership — collaborate to incorporate sustainability into the fabric of college life. 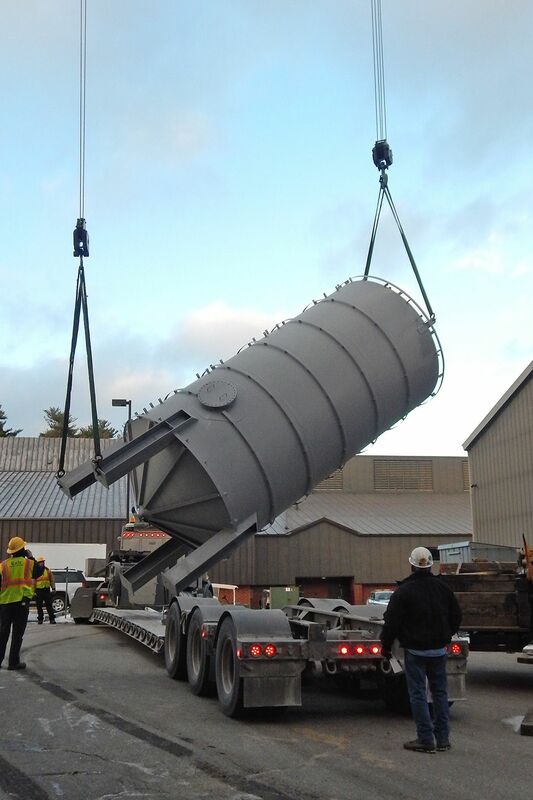 Reducing its carbon footprint is one of many efforts, big and small, that Bates is making to become more sustainable. More validation of the college’s progress came over the summer when Bates received a Gold rating from the Association for the Advancement of Sustainability in Higher Education (AASHE). Through AASHE’s Sustainability Tracking, Assessment and Rating System (STARS) — a widely recognized framework for publicly assessing sustainability — schools earn points by fulfilling criteria that range from the environmental friendliness of operations and facilities to the incorporation of sustainability into academics and student life. For Bates, the STARS rating shows how students, faculty, and staff — with strong support from college leadership — collaborate to incorporate sustainability into the fabric of college life. 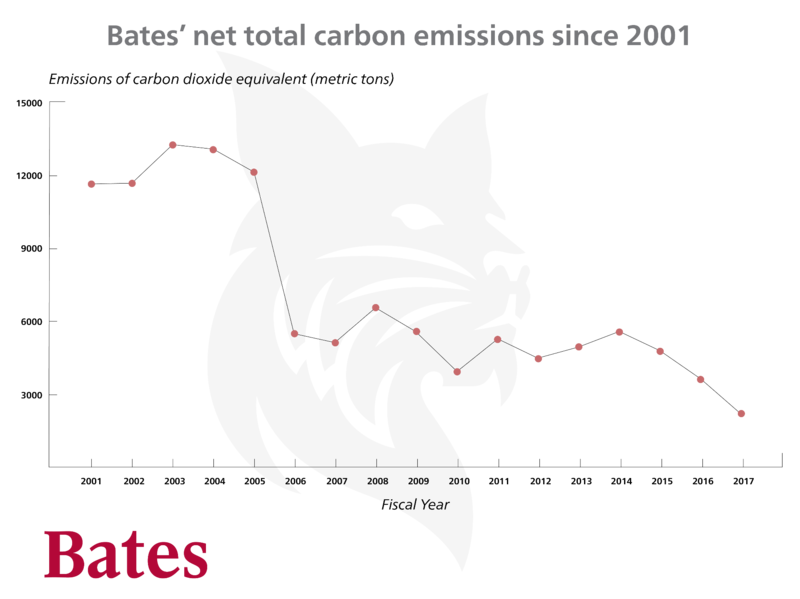 This graph, using information gathered and organized by student EcoReps, shows Bates’ net total carbon emissions since 2001 — figures that represent on-campus emissions such as those created by electricity, heating, and campus vehicles. Emissions reduction is a point of strength on Bates’ scorecard. The purchase of renewable energy certificates in 2005 contributed to a drop in campus emissions— but emissions were slashed further this year under Energy Manager John Rasmussen, when Bates switched its primary heating fuel from natural gas to Renewable Fuel Oil, a wood-based fuel that does not release fossil carbon into the atmosphere. Efficiency has also improved. All new buildings and renovations are constructed to LEED Silver standards and building insulation has been improved. Campus heating is now mostly centralized under a system that provides better data on energy usage and allows staff to remotely control the heat (and therefore emissions). And in Commons, optical and temperature sensors control 11 of the kitchen’s 14 exhaust hoods. 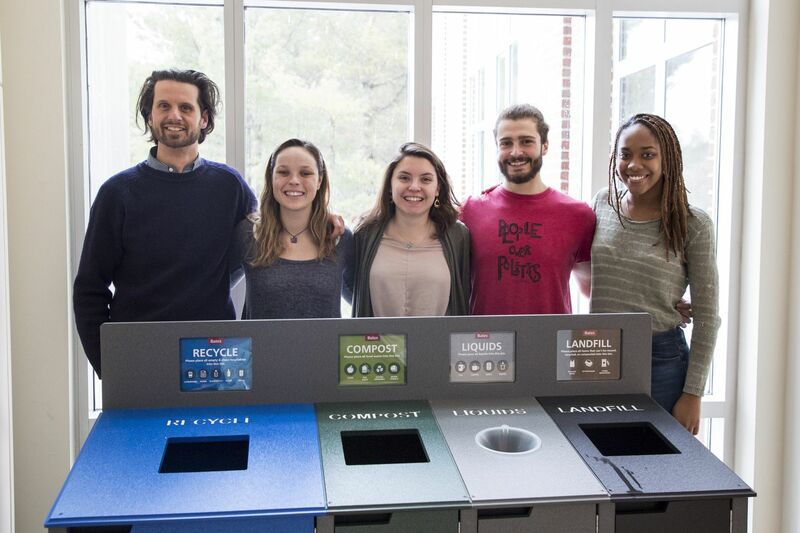 Dining Services has, along with Facility Services, been a driver and partner in Bates’ sustainability efforts — it composts or recycles 80 percent of its waste, or, through initiatives such as eliminating disposable cups in Commons, avoids creating waste altogether. The EcoReps, about 25 students who work under Twist, represent yet another strength in the college’s AASHE assessment: community engagement. According to the AASHE assessment, 90 percent of Bates students have been affected by the EcoReps’ programs. Working in small groups, they’re responsible for everything from EcoService Day, to the Trashion Show, to communicating to the wider campus community the work that dining and custodial services have done, to collecting data from myriad sources for the graph representing Bates’ emissions over time. “They’re doing not just college-level work, but professional work,” Twist said. In another project to help engage the community, they created a “Sustainability Map,” noting measures the college has taken to increase efficiency in campus buildings. Some of those students serve on the Committee on Environmental Responsibility (CER), a group of faculty, staff, and students who work to raise awareness; research, assess, and report on environmental practices; and recommend policies. The CER’s work over the past decade primed Bates for all the emissions-reducing, solar-installing, EcoRepping strides it’s made in the past few years, said CER chair and Professor of Geology Beverly Johnson. “We’re successors of a long line of people who have been pushing for better sustainability practices on campus,” Johnson said, noting early work by former Bates environmental coordinator Julie Rosenbach and by John Smedley, a professor of physics who led an initial environmental task force. Part of CER’s work involves assessing how sustainability is incorporated into academics. In 2015–16, 35 courses in departments such as environmental science, physics, and politics were sustainability-focused, according to the college’s AASHE submission. Another 33 were related to sustainability. Johnson said CER is looking into developing a sustainability-related General Education Concentration, a cluster of courses that help students develop expertise outside their major. “The big thing I’m going to be working on with my subcommittee is bringing sustainability into the curriculum more intentionally,” she said. 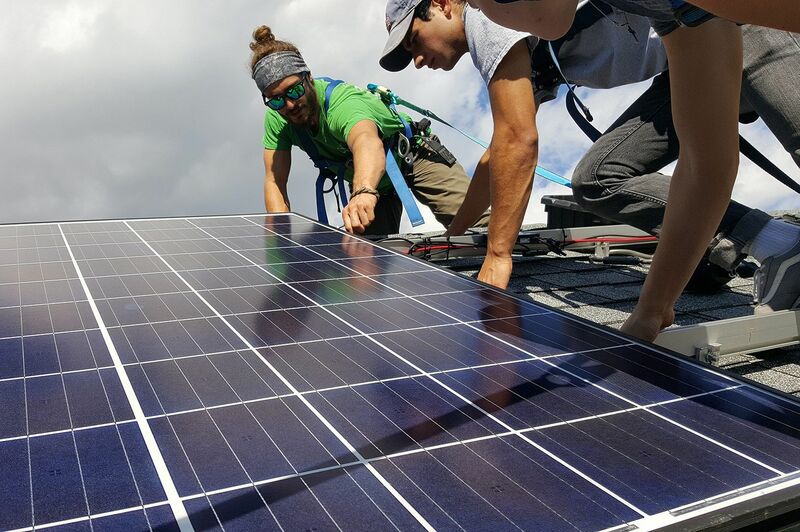 Twist said he hopes to build on the strides recognized by AASHE by doing more with solar energy in the coming years, as well as engaging more students who are not specifically interested in environmental efforts. Doing so, like every other sustainability effort, takes collaboration from a myriad of groups on campus.